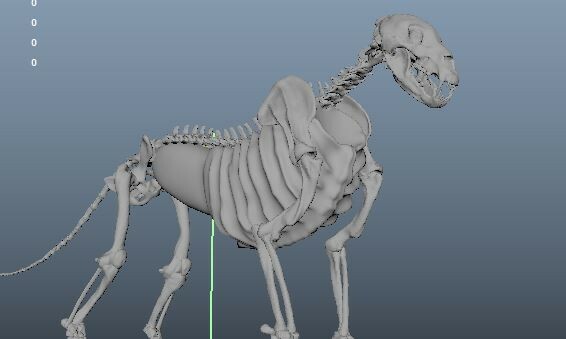 This is a first test what I do to this Quadruped Rig With Ziva Dynamics,If someone could give you some feedback it would be very helpful. Exciting to see the project coming to life. The rib cage looks like it's twisting with each step, this shouldn't happen. Ribs should only be bound/parented to spine joints. If that's the case, then there's something strange going on with the rotation of the spine joints. There are quite a few muscles that are going straight through the rib cage: The muscle that runs from the sternum to the radialis (pectoralis? ), the lats, and the obliques. I think the animation could use another pass. 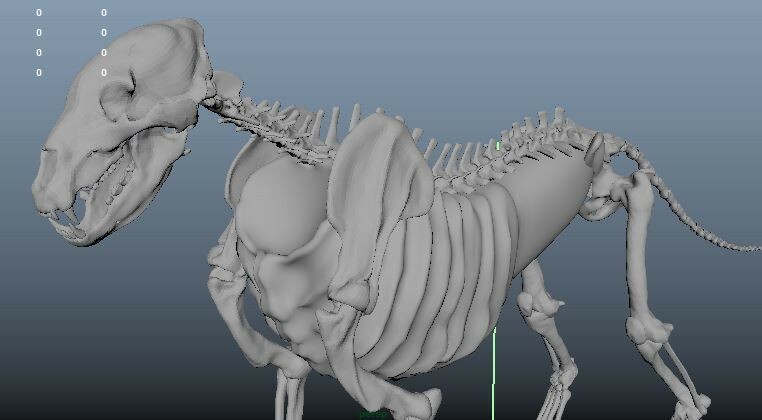 Ziva simulations really sing when they're being driven by nice bone animation. I completely understand just wanting to get something moving though! Looking forward to seeing the project develop! 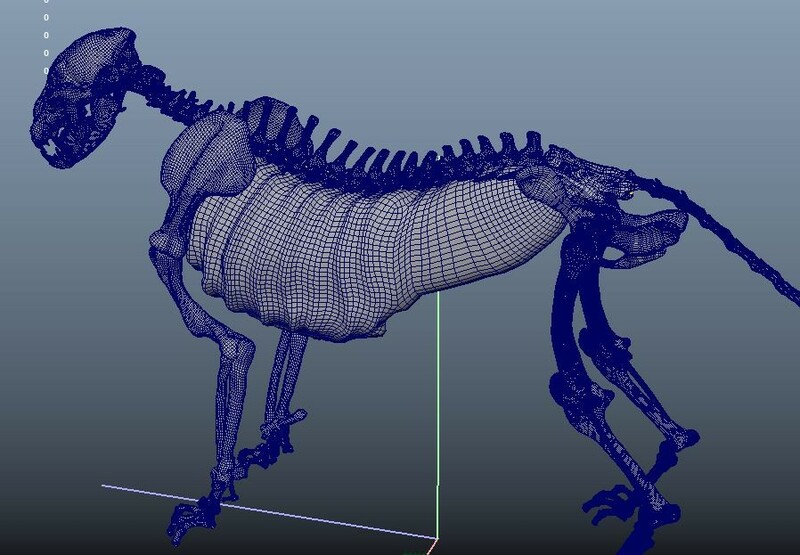 let me see if I understand, then the muscles as such would not have the need to do atachment with the bone mesh if not with a volume proportional to the torso? then this torso should have a skin similar to that of the tiger and this could have the attachment for the oblique muscle and the lats. the volume would be something like this? 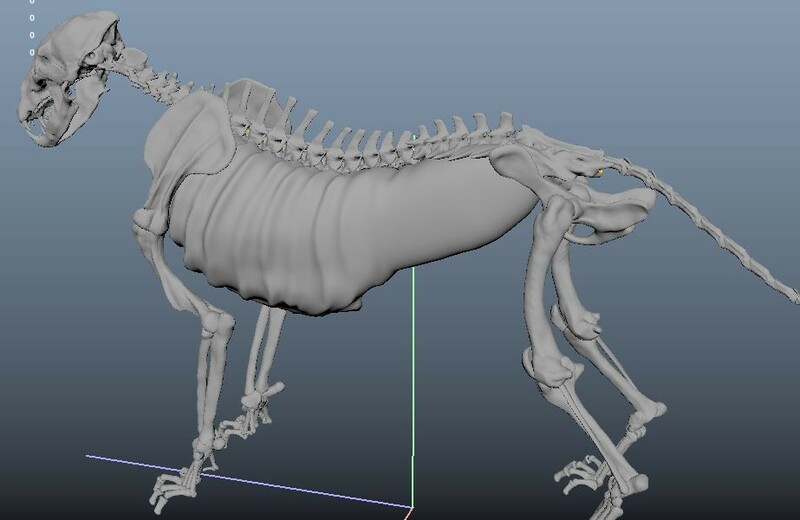 What I did to model my one is, in a fresh scene, took the ribcage geo, and made the ribs into a ziva bone. Then modeled a sphere and smoothed it a few times, and scaled it a bit non-uniformly to completely cover the ribs. 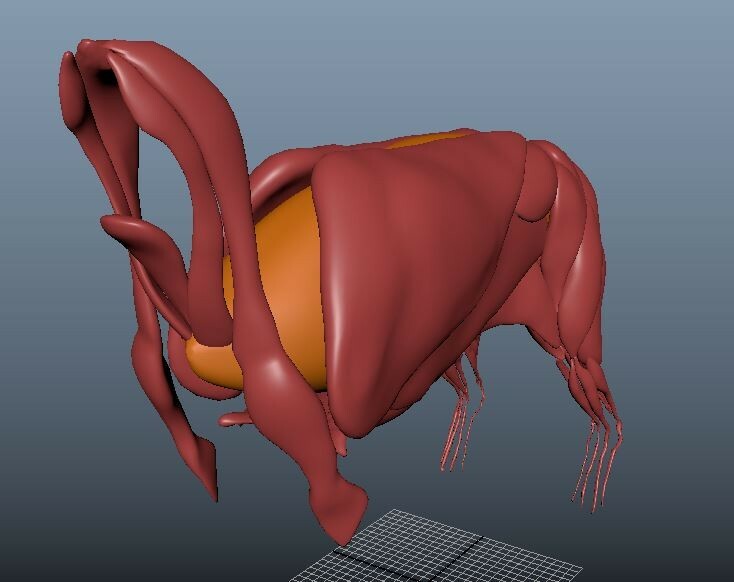 Turned the sphere into a cloth and used rest-scale/pressure to shrink it down of the ribs. 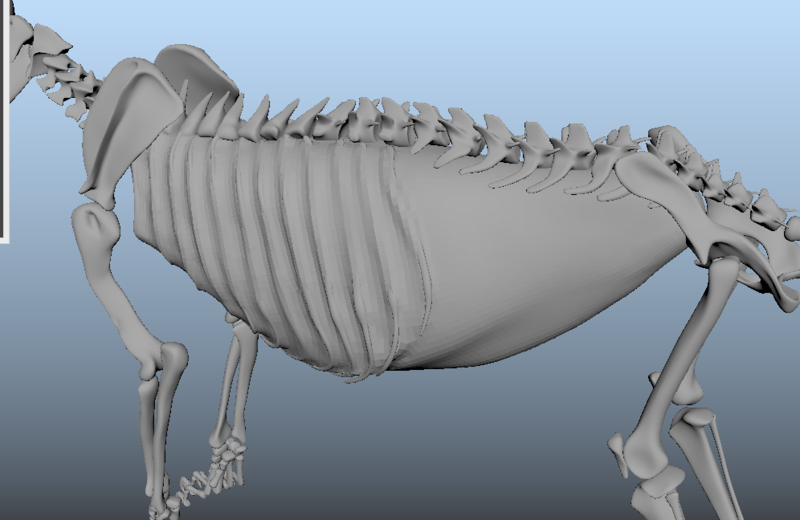 Then retopologized. 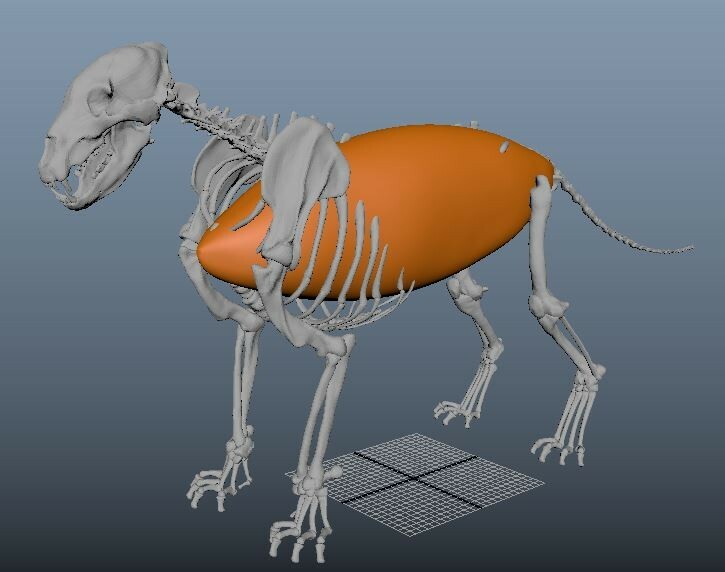 With the lion I don't actually have the obliques in the model as they're super thin, and I wanted to try and get the shape of the ribsto be visible in the fascia/skin sims. 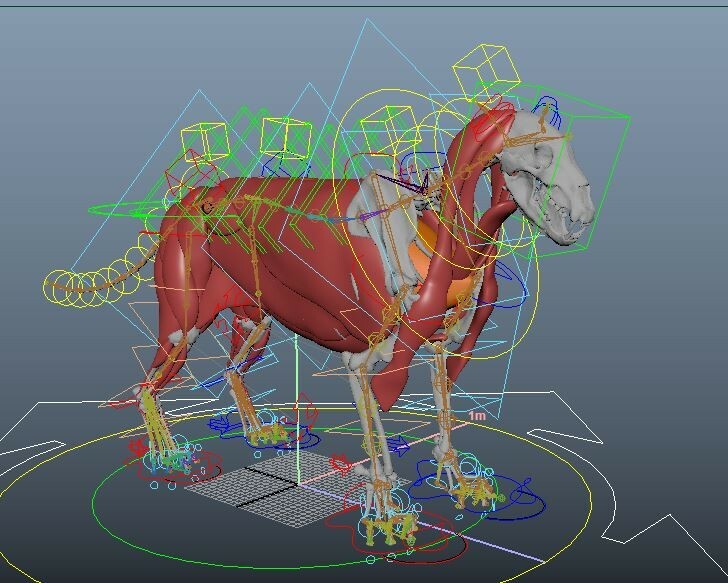 I saw the webinar today and most of us got the idea of what you wanted to show me here, note that in the biped you had something like this in the thorax, so take the shape of the bones that was proportional to the model, you think that would be well to improve the coupling of the muscles of that area? Looks good! Slightly irregluar maybe? Your new thorax model will just be easier to collide with. Hi @andy_vs @jamesj do you know why is happening this ? 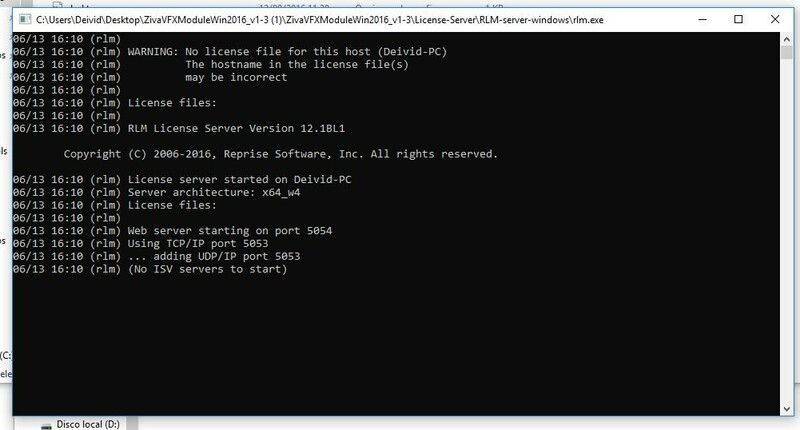 @Amy_D do you have any advice for d3ivid? The .lic file in your bin folder looks to be the old one still (from your first screenshot, this should be 28G36785.lic, not 3864B78A.lic). 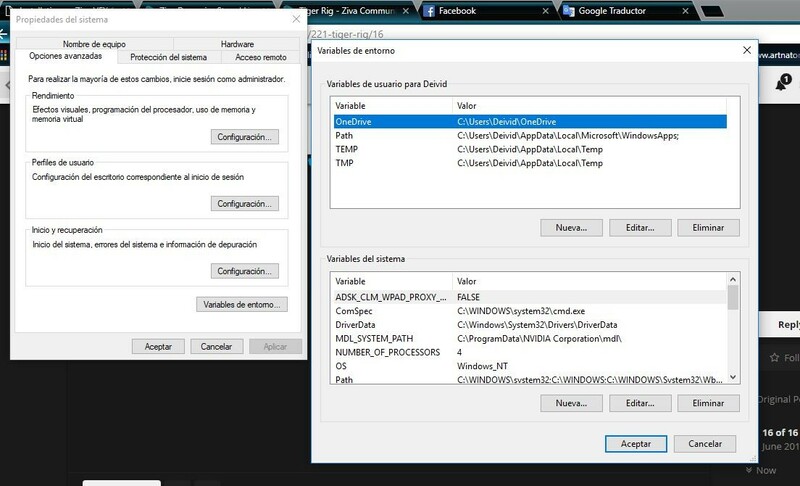 I would recommend removing the zivadyn_LICENCE environment variable since you don't actually need it in this case. Please let me know if this does not resolve the issue. Hi @Amy_D I download Again the license correct and the problem still going . 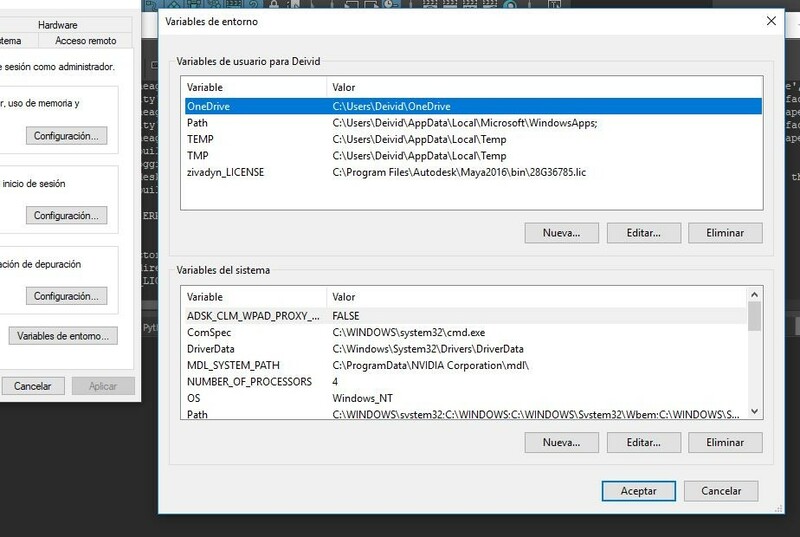 I just noticed that the version you have downloaded is v1.3, and your trial license file only works for versions up to v1.2 since it was generated before the v1.3 release. If you go to your account in the e-store and download version 1.2 this should resolve the issue. 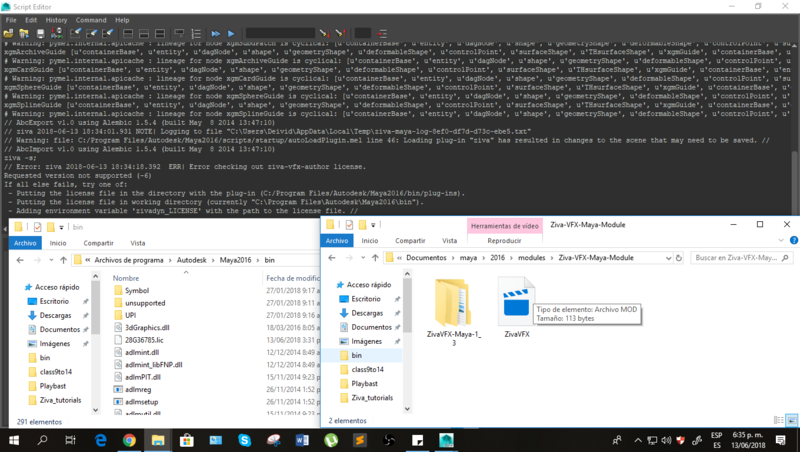 I was able to resolve the issue of the license,thank's if it was what you mentioned, I have a small doubt is normal that a file that would have worked with another version and then placed another version the tissues and atachment not work, there is no version compatibility ? If so, how could I solve it? 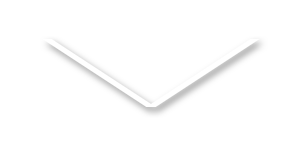 You should be able to open files from older versions with newer versions of VFX, but not the other way around in general.